Shivaansh says Mannat, I believe you, look over there, the tea in those cups hasn’t dried yet, it means someone just left, we need to go. The vendor says yes, a couple lived here, don’t know where they went, Ashish Malhotra and Deepti. Shivaansh asks for phone. He shows Varun’s pic. Vendor says they are Ashish and Deepti, they used to live here. Shivaansh says it means Varun and Ashish is same man, why did Varun lie to us and married Radhika, we need to find out about Ashish. He sees Mannat lost and asks why are you silent. She says I m still in shock. He says yes Varun cheated us. She says no, you said, you trust me, I got a feel hearing this. He sees police and hides with her. He says we got saved. Nandini points gun and says you got caught, I didn’t expect this from you, you wanted to go jail and then you escaped, why. He says someone has conspired against my family. She says you should have told this to me before. He says sorry, I didn’t know this before, Mannat told me everything, I had accepted my crime by then, I thought to get proof first. Nandini says you helped Shivaansh in escaping. Mannat says I m trying to save an innocent man. Nandini says its the duty of law. Mannat says law just sees proof, not the heart. Shivaansh says give me 24 hours, I will catch the real culprit and get to you, else you can punish me. She gets a call and says no, he isn’t Shivaansh. She ends call. She says only 24 hours, don’t act foolish. Shivaansh thanks her and asks can I hug you. Nandini hugs him. She says I regard him as my son, take good care of him. Mannat says don’t worry, someone said, one must take care of oneself and ones he loves, its a noble deed. Nandini asks who said. Mannat says I did. Nandini smiles when he signs. He thanks her. She goes. He says we only have 24 hours. He coughs. Mannat says you need rest. He says we don’t have time. She says we will go to some hotel. He says how, we don’t have any ID or cash. She says we have goodwill, we can get in a hotel on the basis of faith, how long do you sleep always. He says 4-5 hours. She says I have 500rs. He says you can hardly get coffee for two, how will you get hotel room, its impossible. She says its my job to make this possible, come. She gets him to some hotel and says its good, I read the reviews, we can pay on hourly basis. He doesn’t like it. She says we want the best room. The man asks for how many hours. She says 5 hours. The man says congrats. She says if you can manage for 3 hours, it will be best, we will save 200rs and can order some food also, its the best deal, they don’t even ask for IDs. He says you are seeing the strange people here. She says its the needy he says keep this expensive watch, I will take the room for the night. He gets the keys. They go to the room. He sees the flashy lights. She says wow, such a posh room. He says I can’t believe, I will spend the night in this cheap room. She says its the first time I m staying in a hotel, I didn’t have my own parents and house, I stayed with relatives at different hours, it was my dream to stay in a hotel, it got fulfilled. He says I m sure that you didn’t dream of one night hotel. She says its a five star hotel for me. She sees the things kept around. He looks at her and smiles. She enjoys her stay. She says I m making the bed. He asks her to sleep on the bed. She says you are sick and need rest, go and sleep on the bed. He sleeps. Mannat hears him coughing and wakes up. She thinks the light is disturbing him. She stands in front and blocks the light. Jaanejaan..plays…. Its morning, she sits there and sleeps. He wakes up and sees her falling. He runs to hold her. She wakes up. He asks did you sleep here. She says I came to sit here to block the light and fell asleep. He asks her to sleep. He asks what will you have. She smiles. She likes the parathas and eats. He looks on. She asks would you like to eat. He says no thanks. She says its very tasty, you won’t get beetroot juice here. She finishes the food. He asks are you done. She says yes. He asks do you remember the plan. She says yes. Shivani asks Radhika to have some food. Radhika refuses to eat until Varun’s culprit gets punished. Nani says Varun and Shivaansh left us. She prays. Sahil consoles her. They see men getting some bags and boxes. Sahil asks who are you guys, whose stuff is this. Mannat says its mine. She walks in. Everyone looks on. Nani says you were with Shivaansh. Mannat says I m tired, shall we talk later. Radhika asks how dare you come here after helping Varun’s murderer escape from jail, get out. Mannat says I understand your sorrow, sorry I won’t leave, I m Shivaansh’s wife, I will stay here. Nani says but Shivaansh said he had ousted you. Mannat says a fight is natural to happen between husband and wife, you gave me respect as a bahu, won’t you welcome me, isn’t this my house. Nani says its your house, you were with Shivaansh… Mannat says thanks. She asks the men to put the stuff in her room. She shuts the door. She knocks on the trunk and asks Shivaansh to come out. He comes out of the trunk and sees her. He says I m feeling strange to enter my house as a thief. She asks how will you find out about Varun. He says I m sure we will find something. She says lets go and inspect his room, come, what happened. He says it doesn’t feel right, I have to check Varun’s room. She says he is a fraud, he was married and ruined Radhika’s life, you are going jail for his murder, maybe he is alive. He says you are right, come. She looks out and signs him to come. Nani comes. Shivaansh hides. Nani says police said you helped Shivaansh escape, it means you know where is he, right. Mannat worries. She says I went to meet him at the jail, I got framed when he escaped, I was scared and everyone doubted me, they thought I m already involved, I came back to stay as Shivaansh’s life so that I can stay well, I don’t want to talk about it. Nani goes. Mannat comes to him. He says stay here, I will go to Varun’s room. She asks him to be careful. He checks the drawer. Radhika comes there. He hides. She says how did Varun’s clothes come here. She keeps back the clothes. Mannat says this is my number, its the blackmailer’s number. Shivaansh says it means Varun was blackmailing you. 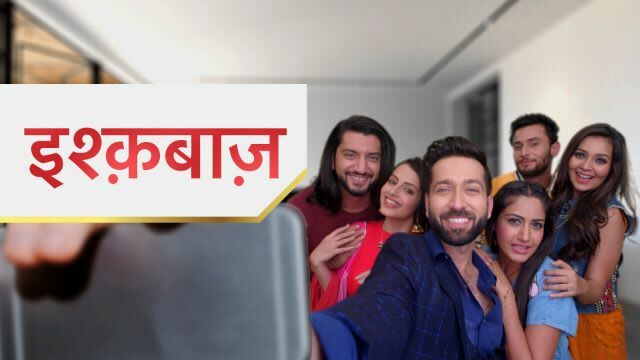 The post Ishqbaaz 1st March 2019 Written Episode Update: Shivaansh reaches home to find clues appeared first on Telly Updates.